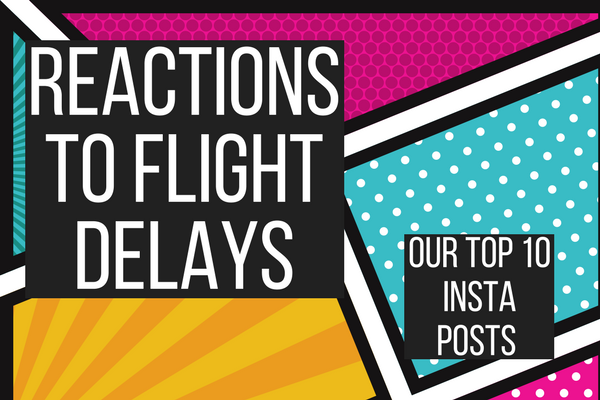 Best reactions to flight delays: Our favourite Instagram finds! Loti doesn’t seem too bothered by the easyJet delay; she got a first hand view from the cockpit. Lucky lady! This little guy is too cute to care about his delay, and seems to be taking the disruptions pretty well. Oh kids, we feel ya! Your flight’s been delayed, you’re tired, you missed your tea date with your teddy and you won’t be back in time to catch the latest episode of PJ Masks that you missed whilst away. There’s just something magical about watching acro yoga. The trust, the elegance, the strength. Bravo! Yes, people may be annoyed at the sound of others having fun, but so what? Rather than sit and wallow in anger and frustration, these guys are using their new spare time to enjoy themselves and create a pleasant atmosphere. And I’d totally want to join in with them, too!